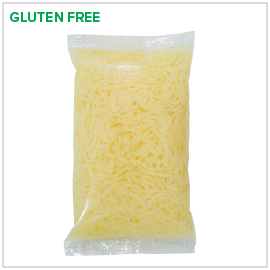 The ultimate gluten free, low calorie ramen noodle substitute – Skinny Noodle. Made from blending organic brown rice flour with the super health food, shirataki, to mimic the chewy texture of an actual ramen noodle. Lightly rinse noodles in boiling water first, then enjoy with choice of ramen broth.